This can be a dangerous season for hikers in N.H.
Leaves began changing their colors in Albany, N.H., in 2008. 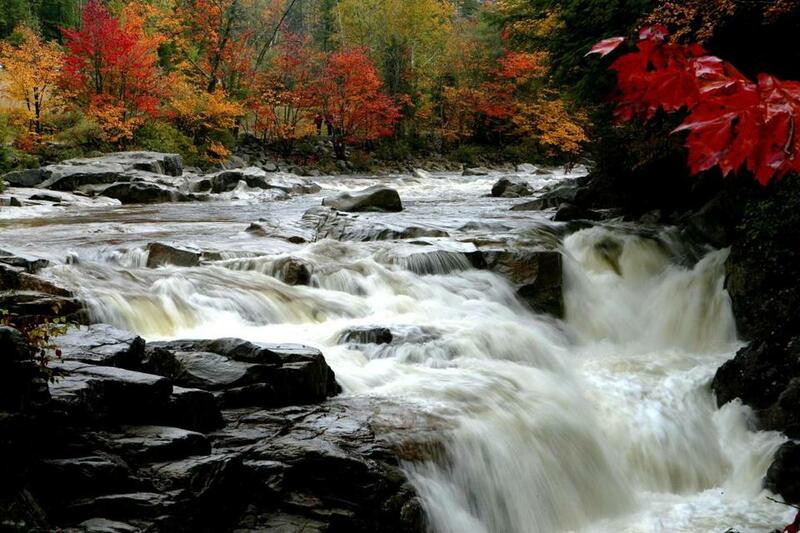 Outdoors enthusiasts are often drawn to the wilderness of New Hampshire during the fall, but it can be dangerous and lead to search-and-rescue situations. Every two-and-a-half days, on average, someone needs to be rescued from the New Hampshire wilderness. And no time of year is busier for search and rescue teams or more dangerous — even deadly — for outdoors enthusiasts, than right around now, officials say. People engaging in outdoor activities, particularly hiking and climbing, often misjudge just how cold and treacherous conditions can become at higher elevations in the fall and winter, as dusk falls. “People hike now because it’s a great time of year to do that,” said Colonel Kevin Jordan, chief of the Law Enforcement Division for the New Hampshire Fish and Game Department. He cited the often beautiful fall foliage and temperatures that at ground level can seem ideal — not too hot or too cold. But as adventurers ascend, conditions can be very different, especially at unprotected points above the tree line, said Jordan. 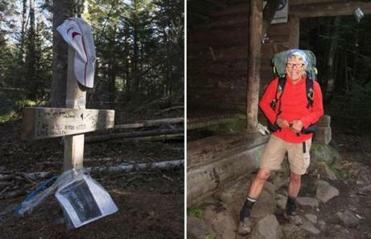 Lost for at least 19 days in the Maine wilderness, the 66-year-old hiker died as she had lived: with courage and with grace. “Winter comes much sooner in those high altitudes,” he said. He said search and rescue missions are often launched in late afternoon or in the evening, after the sun starts to set, bitter cold sets in, and people realize they are in trouble. Between fiscal year 2008 and 2014, the department conducted 1,023 search and rescue missions. About 60 percent were to aid hikers and climbers. The next most common type of missions were those to help either hunters, anglers, boaters, or people riding snow machines or all-terrain vehicles, which accounted for 14 percent of missions. Another 12 percent of missions were to find runaways or walkaways. Six percent of cases were swimming or drowning accidents, two percent were for cross-country skiers, and six percent were classified as “other” and included cases that involved criminal activity. Jordan said that New Hampshire leads all other New England states by a wide margin when it comes to search and rescue missions. The state features 161 miles of the Appalachian Trail and more miles above the tree line than any other state that’s on the trail. The trail passes some of the state’s 48 4,000-plus-foot mountains, including the nearly 6,300-foot Mount Washington, the tallest peak in the northeast. There are 4.8 million acres of forest covering 84 percent of New Hampshire’s land area, which makes it the second most forested state in the country, behind Maine. Jordan said New Hampshire ranks high nationally in terms of the frequency of search and rescue missions, even rivaling similarly-sized parts of Colorado. Along with fatalities and injuries, there’s also a financial toll. In that same seven-year period, the department spent about $2.1 million searching for and rescuing people, or more than $2,000 per mission, though the cost of each case can vary widely, officials said. For many years, the expense created a deficit for the agency. Jordan said that the department’s search and rescue account for years was funded by a $1 fee charged for every all-terrain vehicle, boat, and snow machine registration in the state. But that only netted about $195,000 annually, he said, or only about two-thirds of the yearly cost of missions. It also put the burden on a group of outdoors people who only accounted for 14 percent of search and rescue missions. Still, Jordan said that only a handful of cases met the criteria each year, and even for the ones that did, state officials successfully collected the money about 60 percent of the time. Starting last year, New Hampshire debuted a new approach to raising money for search and rescue missions. People before they hit the trail can buy “hike safe” cards — $25 per person or $35 per family — that exempt them from having to pay for their rescues if they are simply negligent. The cards don’t cover cases when people need to be rescued due to reckless or intentional behavior. Sales of the cards netted about $75,000 last year, Jordan said. New Hampshire authorities said they would likely bill four Massachusetts hikers who had be rescued on Sunday. Fish and Game officials say the four women had planned on hiking a nine-mile loop on Mount Lafayette on Sunday when one woman fell on some ice and hurt her arm. Realizing they weren’t going to make it back by nightfall, they called for help just before 4 p.m. with about four miles to go. Officials say the group admitted they were unprepared for the early winter-like conditions and had only a small flashlight and cellphone light.